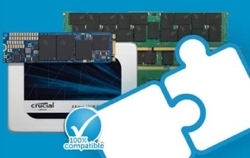 Memory-dependant server applications are often inhibited by RDIMM channel ranking limitations. Crucial LRDIMMs solve this problem by utilizing a memory buffer chip that reduces electrical loads presented to the memory bus, allowing more DIMMs to be populated per channel. The result? 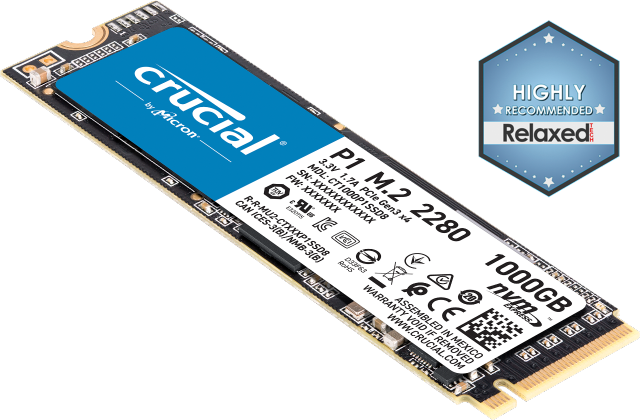 Increased memory bandwidth, improved energy efficiency, and greater memory density compared to standard RDIMMs. Not only do Crucial LRDIMMs use less voltage and standby current, but they transmit power in a more efficient manner to the CPU (via the data path buffer), allowing for additional power savings and a lower total cost of ownership. For memory-dependant server applications such as virtualization, cloud computing, in-memory databases, Big Data, HPC and more, you’ll be hard-pressed to find a more cost-effective performance solution. Because Crucial LRDIMMs enable dramatic performance gains, they’re the smart way to increase memory bandwidth and capacity, while also reducing power expenses. Crucial LRDIMMs are Intel® validated, compatible with OEM servers and warranties, and backed by a limited lifetime warranty.2 Now available for cutting-edge DDR4 server platforms, Crucial DDR4 LRDIMMs are optimized for future Intel Xeon® processor E5-2600/1600 v3 product families, allowing you to maximize next-generation deployments. Bandwidth and energy efficiency comparisons based on published specifications of Crucial DDR4 LRDIMMs and Crucial DDR3 LRDIMMs at the time each product was released. Actual performance difference may vary as DDR4 technology matures. Limited lifetime warranty valid everywhere except Germany and France, where warranty is valid for ten years from date of purchase.